Many people struggling with credit card debt have absolutely no idea exactly how much they owe. Instead they “guesstimate” about their total bills — and often they’re way off with their numbers. I made this mistake when I was in debt, and it allowed me to stay in denial (and in debt!) for far too long. It wasn’t until I took an honest about my predicament — by list all my bills in black and white, and putting everything in writing — that I got serious about knocking out the debt. 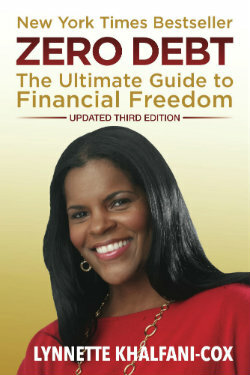 People should get their credit reports and FICO credit scores from www.myfico.com. That’s where you’ll see all your credit accounts listed — mortgages, student loans, car notes, credit cards, everything. You may even find “old bills,” personal loans, or collection accounts that you conveniently forgot about. But the creditors haven’t forgotten them! Most consumers don’t realize that they can call up their credit card companies, request a lower interest rate, and get a “Yes”. In fact, one study from the research firm Synergistics found that 75% of all consumers who ask for a lower rate, get it — right on the spot. 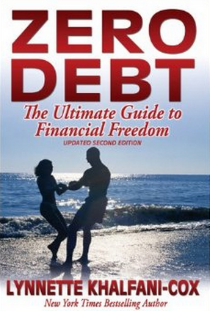 When I was deep in debt, I successfully negotiated all of my credit card interest rates down to 6.9% and lower. (I had leverage with my creditors because I’d never missed a single payment). I was also able to get several cards down to 4.9%, a few at 2.9% and even a couple at 0%. This saved me thousands of dollars in interest/finance charges. If someone has a creditor who won’t budge on a very high interest rate, they should consider switching cards. But only do 1 balance transfer a year, or you’ll have multiple inquiries – which can hurt your credit score. CreditCards.com is a good place to comparison shop for the best credit card rates available. Anyone trying to become debt-free really has to use “windfalls” carefully. A “windfall” is any “extra” money that one comes into, outside of your normal paycheck. It could be a year-end bonus on the job, an income tax refund check, a stimulus payment from the government, or even life insurance proceeds or a settlement from a divorce. These big chunks of money can go a long way toward knocking out debt that would otherwise take years to pay off. For example, the IRS says the average tax refund check tops $2,800. If you get such a windfall, you should use it to pay down debt. Don’t blow the money! If you do happen to get a big tax refund check each year, realize that you’re actually giving the government an interest-free loan. A better strategy is to adjust your W-9 withholdings at work, so that your employer takes less money out of each one of your paychecks. The typical person getting a $3,000 tax refund check (which the IRS says is about average) can get about $250 per month put back into his or her paycheck by adjusting their withholdings. Use that extra cash each month to eliminate debt. The IRS’s website, www.IRS.gov, has detailed instructions on how to adjust your withholdings. We all know we should create a budget and try to live with it. The problem is that most people hate financial diets just as much as they hate food diets. They’re all too restrictive and they make you feel deprived. When it comes to your finances, it’s much better to build some “treats” into your budget each month. Figure out a reasonable amount of money that you can spend each month on the things that you want: it may be little extras for the kids, clothes, manicures for yourself, a lunch out once a week, or perhaps money spent on a hobby, like yoga lessons or a photography class. The point is to include a category in your monthly budget that is a “fun” item — something you want to spend money on; not just something you “have” to spend money on. This way, you’ll have more incentive to stick to your budget each month because you’re not deprived. It should also curb binge spending and impulse purchases made with credit cards. Mint.com is a great personal finance program online that helps you create a budget, see where your money is going each month, and even recognize how much interest and fees your paying on various accounts. Best of all, Mint.com is free! Too many people facing financial difficulties allow shame and embarrassment at their predicament to keep them from reaching out for help. In my situation, I was fortunate in that I was a financial reporter, so I was often in contact with lots of financial experts — everyone from stockbrokers to Certified Financial Planners to CPAs. The National Foundation for Debt Management, www.nfdm.org, is an excellent, reputable non-profit agency that helps people overcome debt problems. It’s a HUD-certified credit counseling agency. They teach consumers financial literacy skills, they negotiate with creditors on your behalf to lower your interest rates or monthly payments, and they’ll help you set up a re-payment plan, if necessary, to quickly pay down your debts.